Flower Still Life Painting by Pierre Chauvet. 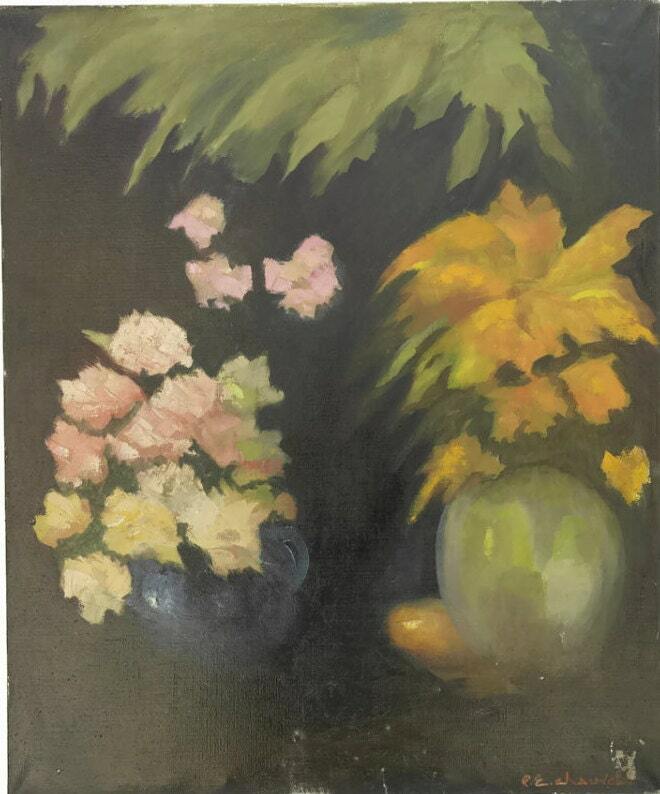 Original Art French Still Life with Flowers. A large floral still life painting by French artist Pierre Eugene Chauvet (1921 - 2004). The work depicts two vases of flowers; one pink and the other orange against a deep black background. 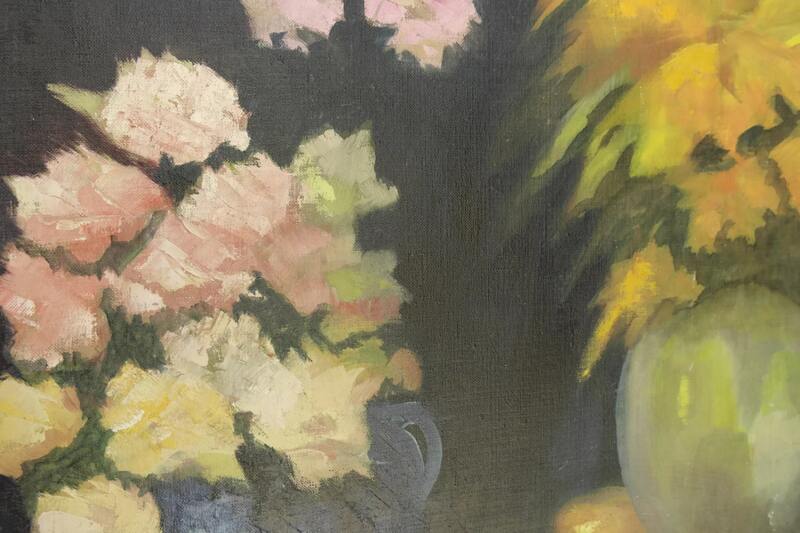 The contrast between the vibrant flowers and dark depths of the painting are striking. The artist has created the work using oil paints on a stretched canvas with the bold brush strokes typical of his style. The painting has been signed. 22" wide x 26" high (54 cm x 65 cm). 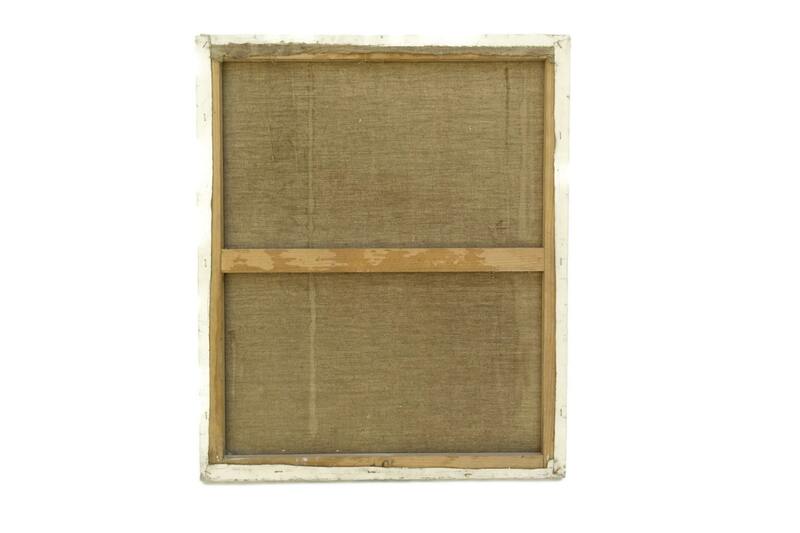 The French still life painting is in good condition with light signs of wear to the paint and canvas. Hanging hardware is not included. 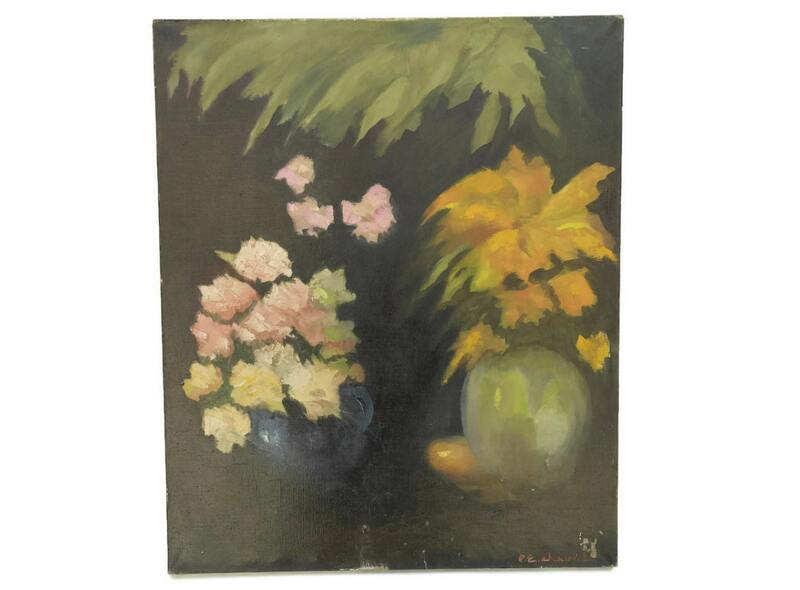 Item ref: Flower Still Life Painting by Pierre Chauvet. 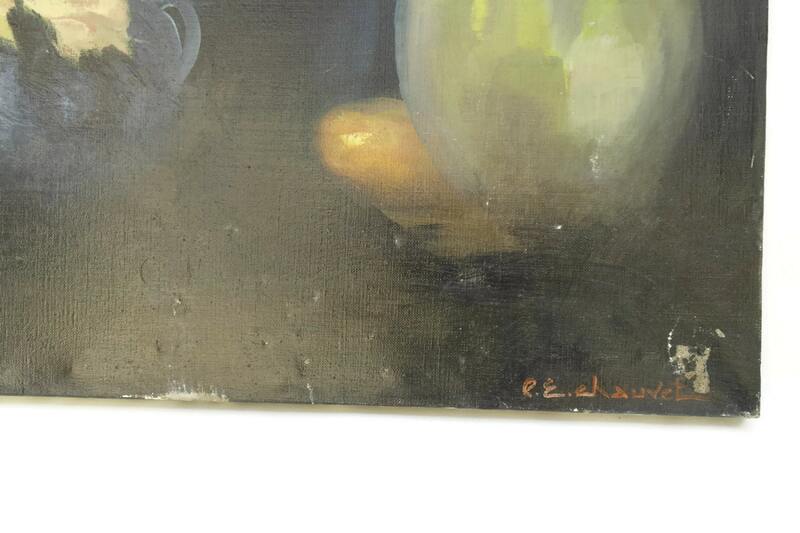 Original Art French Still Life with Flowers.